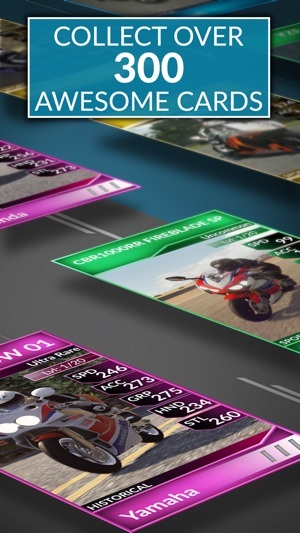 The world of motorbikes in your hands with the collectible card game MyRIDE Challenge! 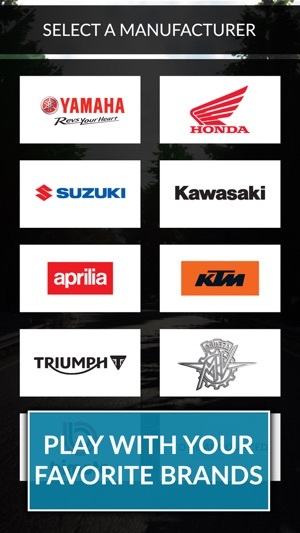 Collect your favourite bikes from Aprilia, Bimota, Ducati, Honda, Kawasaki, KTM, MV Agusta, Suzuki, Triumph and Yamaha. 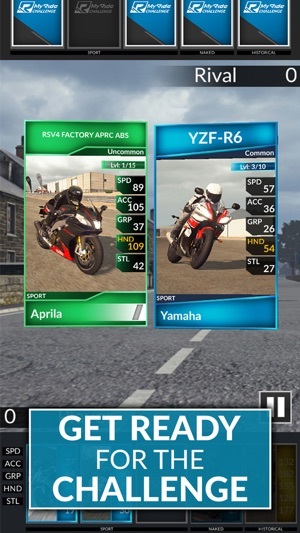 Choose from 300+ cards, build your five-bike team with Sport, Naked and Historical models, and get ready for the ultimate challenge. 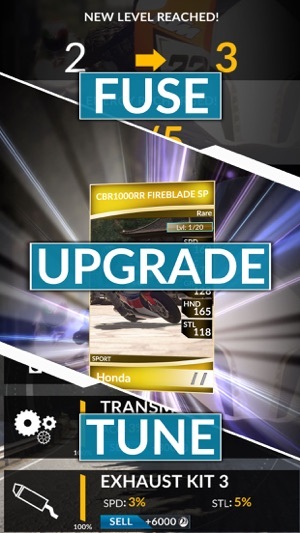 Tune, fuse and upgrade your cards with new parts to power up your deck. 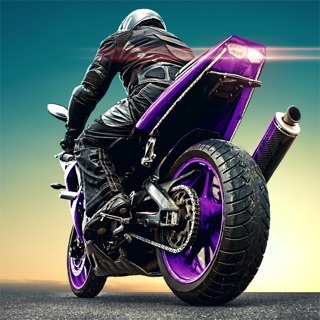 • MULTIPLAYER: challenge your Facebook friends to find out who's the best RIDER! • TOURNAMENTS: participate in Tournaments every week to win the new super-powerful SPECIAL cards. • Fast action. 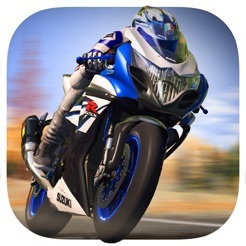 Build your five-bike team and get ready to conquer Donington, Road America, Imola, and other famous racing locations. The battle is about speed, acceleration, grip, handling and style. Win matches and receive new cards, gears and experience to level up. 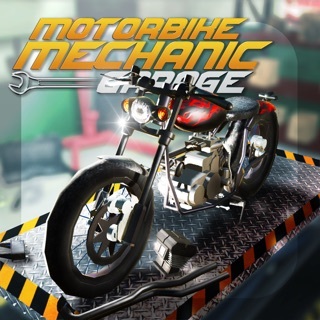 • Collect the bikes of your dreams. 120+ models from Aprilia, Bimota, Ducati, Honda, Kawasaki, KTM, MV Agusta, Suzuki, Triumph e Yamaha... and more to come. • Tune and level your cards. Install new exhausts, suspensions, tyres and other mechanical components to build the ultimate racing machine. Fuse cards together to level up. 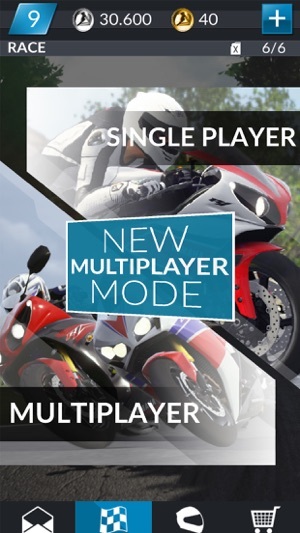 • New bike manufacturers, gears, events and game modes are added regularly. Been playing this game a lot but lately after you get past the menu screen where there are pictures of the actual game it gets stuck on a grey screen :( PLZ FIX!!! © 2015 All right reserved Milestone S.r.l.